If you’re a restaurateur or manager who’s in charge of the restaurant bookkeeping, you’re likely juggling many responsibilities at once. And while you’re adept at managing the books, you’re by no means a CPA. It’s only natural to worry about making errors, but simply knowing common mistakes in restaurant bookkeeping can actually help prevent you from making them! Here are some common mistakes to avoid making in restaurant bookkeeping. It’s easy to let invoices pile up and forget to regularly reconcile your accounts, but doing so can have costly consequences. If you’re in charge of restaurant bookkeeping, you need to carve out time to give it your attention weekly, if not several times a week. Making sure invoices get paid on time ensures you don’t end up paying late fees or threatening your relationship with a trusted supplier. Reconciling your accounts on a regular basis helps you keep tabs on the cash inflow and outflow for your restaurant. Taking care of these tasks more frequently will require just a few minutes each session, rather than several hours if you let the work build up. We’re long past the days of using paper ledgers to manage the “books,” but a surprising number of business owners still use a spreadsheet to manage restaurant bookkeeping functions. Either that or they use general accounting software and then a separate system (or spreadsheet) to track inventory and orders. But restaurant-specific purchasing software has everything baked in: inventory, purchasing, order management, and accounts payable. Having everything all in one not only saves you time with accounting tasks but also gives you better visibility into your restaurant’s expenses and income. Regular inventory reduces food waste and helps you save on orders since you’ll never have to scramble to order an item you didn’t realize you were low on. But it also helps with bookkeeping. Conducting weekly inventory helps give you a realistic picture of how much you’re spending on food ingredients, which helps you calculate food cost more accurately. There’s a reason businesses have budgets: to avoid overspending and cutting into profit margins. Your restaurant budget should include everything from weekly and monthly food costs to utilities and salaries. Realize, too, that your budget may fluctuate. Keep tabs on past years’ budgets and modify (usually increasing it) accordingly based on historical data. While you’re probably capable of managing basic restaurant bookkeeping functions, there may be times when you hit a wall with your skills. That’s when it’s time to call a professional CPA or accountant. Filing taxes is a great example; a professional will know tax law and deductions better than you, and may actually be able to help you pay less in taxes than you would if you filed yourself. Being aware of these potential pitfalls will help you be the best bookkeeper possible for your restaurant! 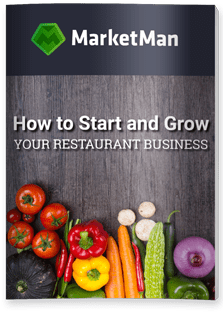 For more tips on boosting your restaurant’s profitability, download our free guide, The Ultimate Guide to Lowering Food Cost in Your Restaurant or contact us to request a demo of MarketMan’s inventory management software.